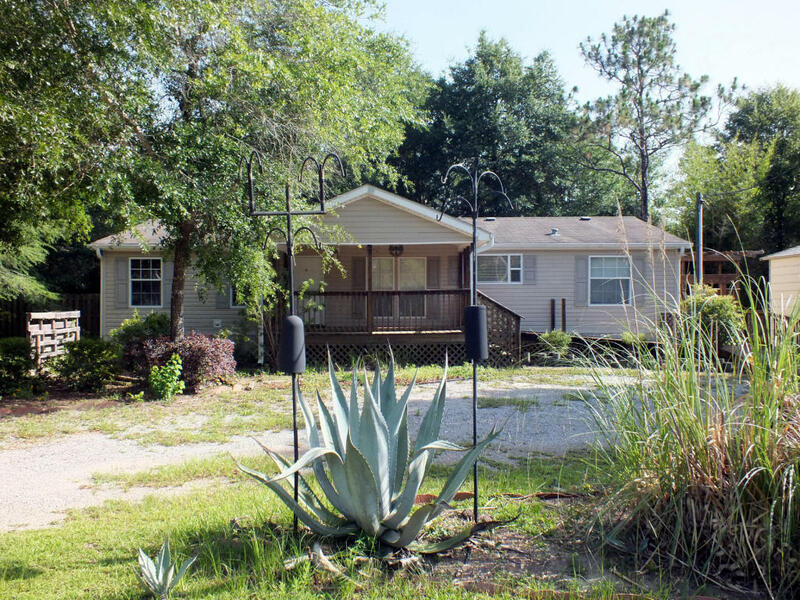 Very well maintained manufactured home with a detached garage/workshop located between the DeFuniak Springs and Mossy Head I-10 interchanges. The property is handicapped accesable and is completely fenced with privacy fencing along the in front. The large side deck features a lattice sun screen for maximum outdoor enjoyment. New carpeting has been installed in the living room and master bedroom. The kitchen features stainless steel appliances. Be sure to look at the photos to get a good look at what could be your next home.